We’ve already discussed the fact that most consumers search for local products and services using the Internet in Part 1. 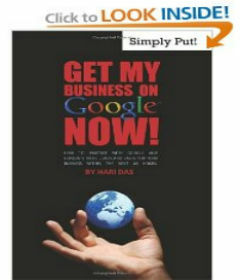 • Surveys show that 85% of Internet users find websites through search engines. • 98% of people searching for something online never go past the first page of search results. These powerful statistics show how crucial search engine visibility is when it comes to connecting with your local customers. Most people today go straight to the search engines to find local businesses. So naturally, this should be a major focus when it comes to marketing. Google.com, Yahoo.com, and Bing.com are the three largest search engines in the world – Google of course, being the largest. In fact, there are approximately 250 million searches for products and services performed per day on Google alone. You probably understand how the search engines work if you use a computer. But just in case you don’t, here’s a brief description of how Internet search engines work. • People go to their search engine of choice and enter a few words to describe what they’re looking for in the search box. These are called “keywords”. • The search engine returns results based on those keywords. • The person doing the search scans the list of results to complete their search. Obviously, the higher ranking websites receive the most attention, so this is where you want to be. Your goal as a business owner should be to own a high-ranking spot in all of them. Organic (natural) search result listings receive 85% of all clicks, as opposed to only 15% for Pay Per Click (PPC), so shoot for organic rankings even if you decide to do PPC. The higher the better… Since 98% of consumers don’t go past page one when doing searches, you at least want to be on page one. So, how do you boost your search engine rankings to attract new customers?